This post is brought to you in partnership with Sortly. Although I received compensation and a complimentary subscription to the Sortly Plus app, my (very!) favorable opinion of this app is 100% my own. 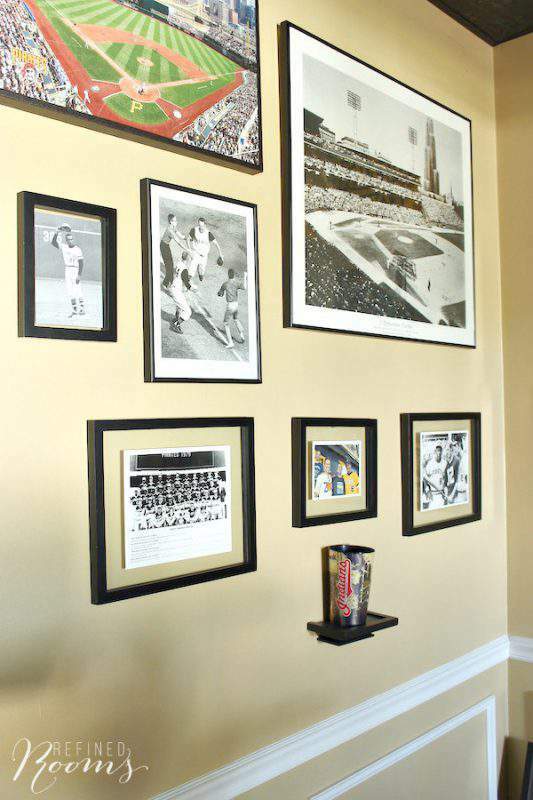 I’m just coming off an epic organizing high, as I FINALLY tackled one of the many projects that has been on my long-term Organizing To Do list — my husband’s sports memorabilia collection! Honestly, I’ve been dreading this project, because I thought it was going to be tres time-consuming and difficult. But this project turned out to be one of those scenarios where using the RIGHT ORGANIZING TOOL made the job so much easier. What is this magic organizing tool you ask? It’s called Sortly. And I can’t wait to show you how to organize a collection using the Sortly app. Oh, and be sure to stick around until the end of the post for an awesome giveaway! 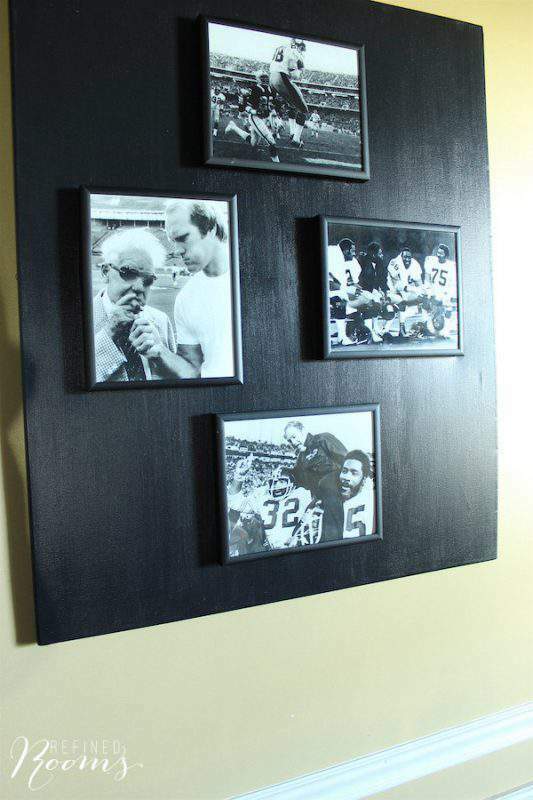 If you’ve been hanging around the blog for awhile, you know that my husband Brian is a sports fanatic (in fact, he was a sports reporter when I first met him). 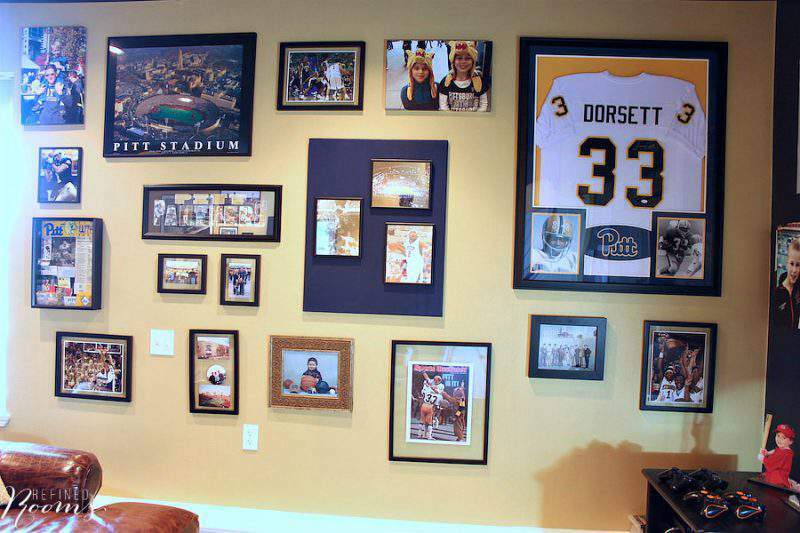 As a sports fan, he’s accumulated a fairly significant collection of sports memorabilia over the decades. This collection is his Baby. So much so, that we’ve created a 400 square foot man cave in our home to serve as display space for it. 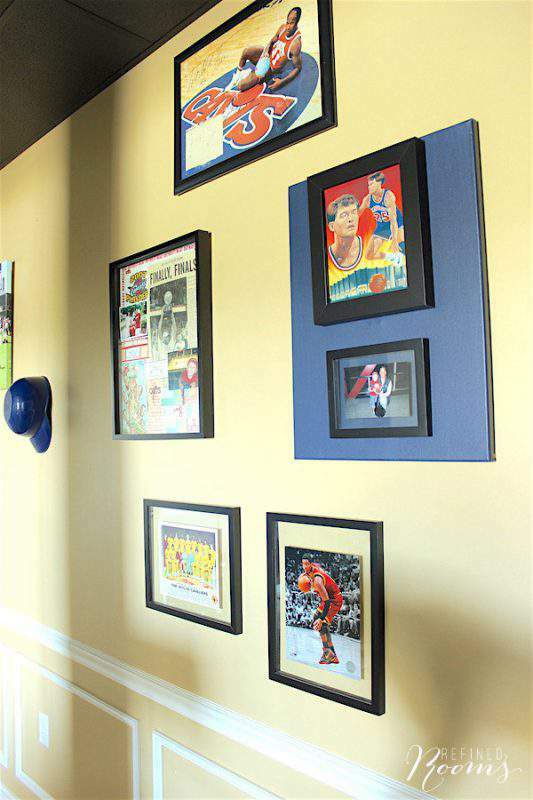 You may had already gotten a glimpse of the man cave in past posts about displaying digital photos, paper memorabilia and photo wall art options. 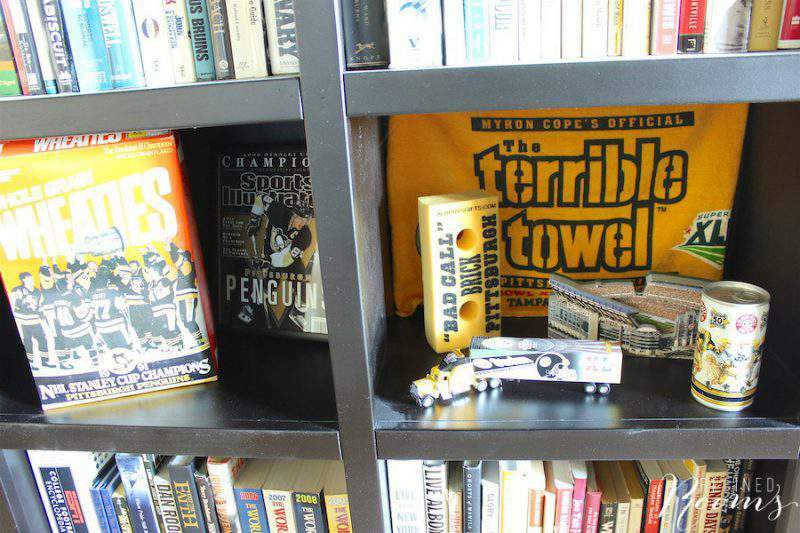 But what you see on display in the man cave is only the tip of the iceberg. 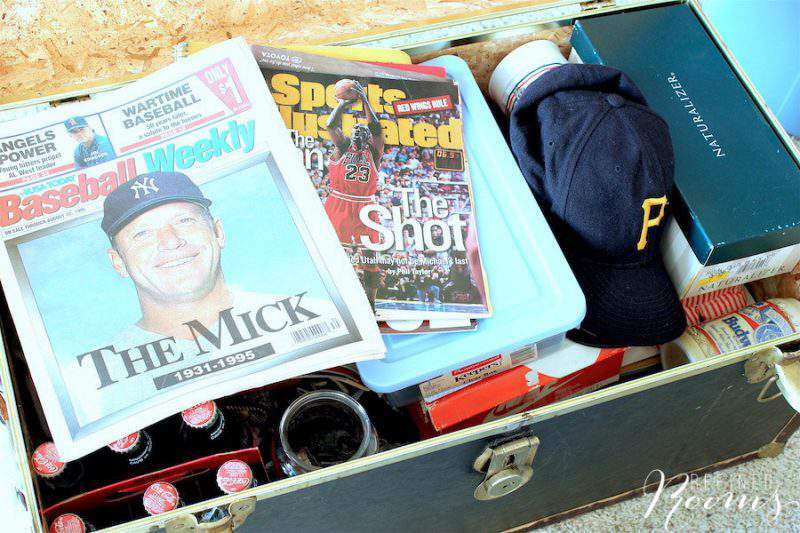 Lurking in the dark shadows of our basement storage room, you’ll find bins, chests and containers bursting at the seams with more sports memorabilia items that would ALL be on display if our man cave was about 10 times the size. This fall, I intend to change all that. 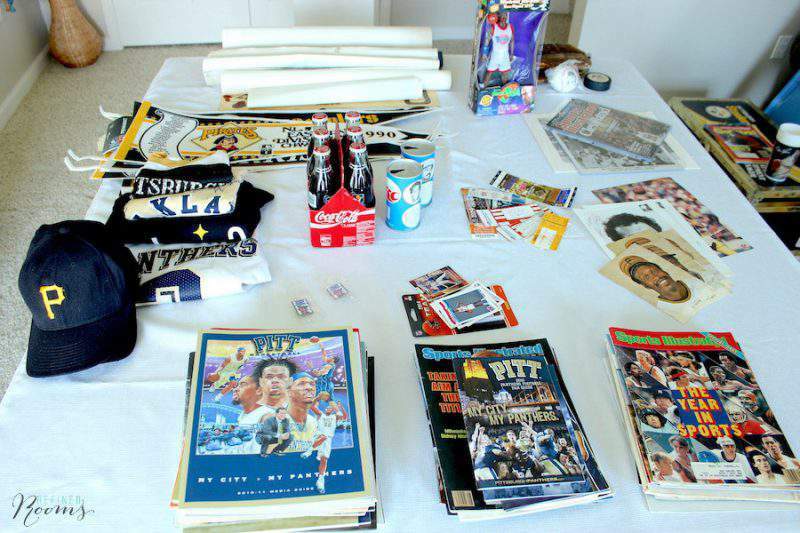 As a birthday gift to him, I decided to take on the task of inventorying and organizing his sports memorabilia collection in a digital format. Enter my serendipitous discovery of the Sortly app. After pulling out all of the relevant bins from the storage room into the basement rec room, the project was underway! I followed my process for organizing by first sorting and decluttering the collection, with a little a lot of help from Brian. As much as I wanted to complete the whole project for him, it was impossible not to involve him in the decision-making when it came to determining if any items could be tossed. 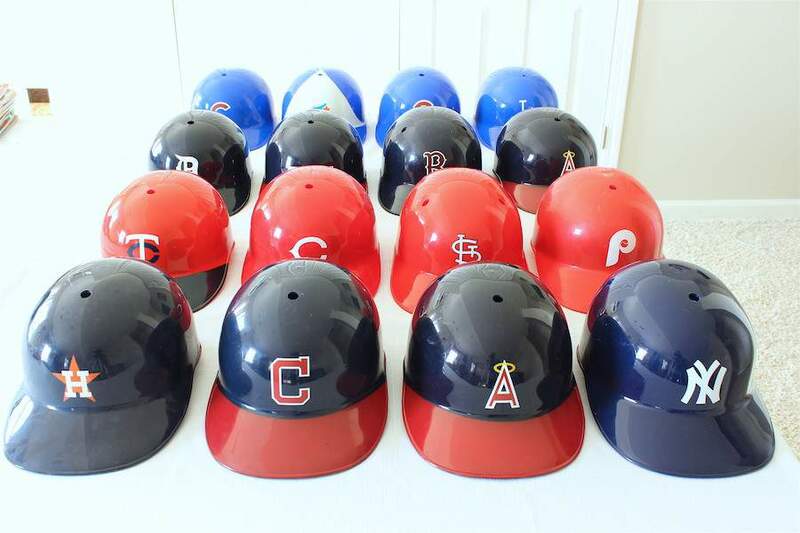 I also needed to understand how to best categorize the collection in a way that would be most helpful to him. 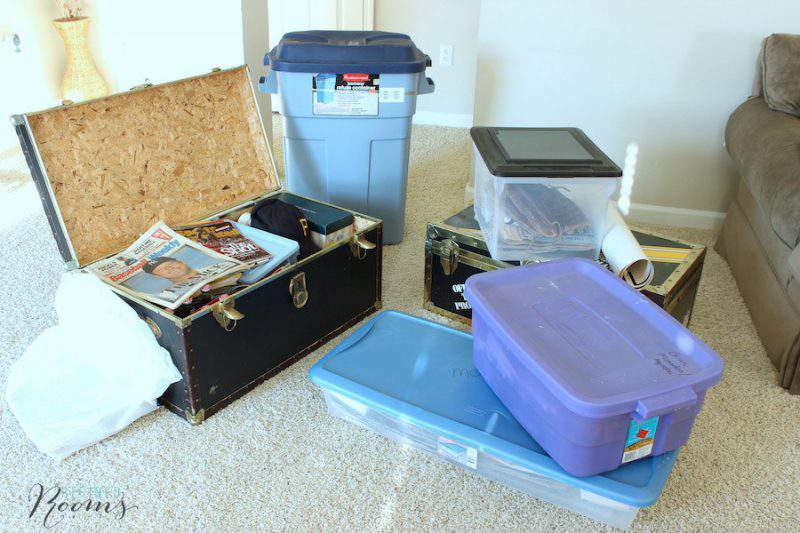 But once the decluttering and sorting process was complete, I took it from there. Organize Smarter. That’s Sortly’s tagline. Sortly is an app that’s currently available for both iPhone and iPad. 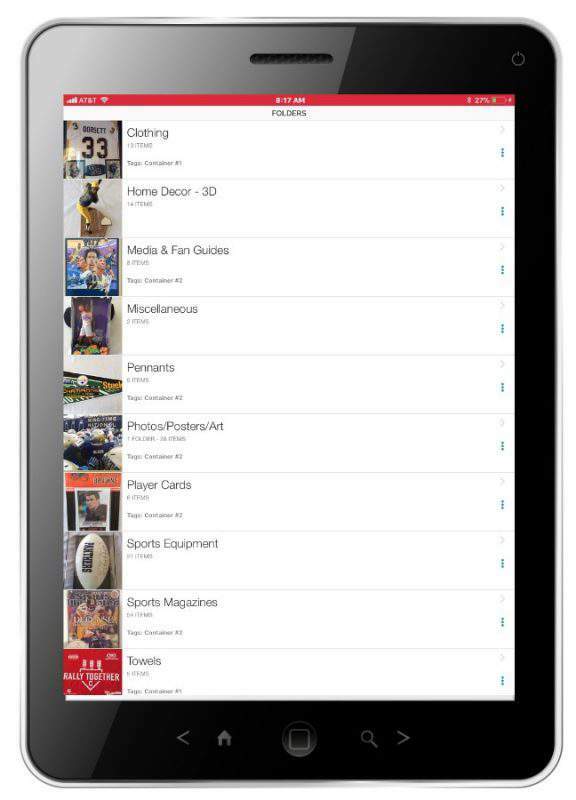 The app is designed to help you easily keep track of what you own, where it’s located, and how much its worth. Although Sortly was initially designed to serve as a moving inventory tool, it really shines when it comes to organizing collections. When researching tools for this project, I came across these examples of using Sortly to manage a makeup collection and a craft collection. I knew right away that it would be the perfect tool for my project. 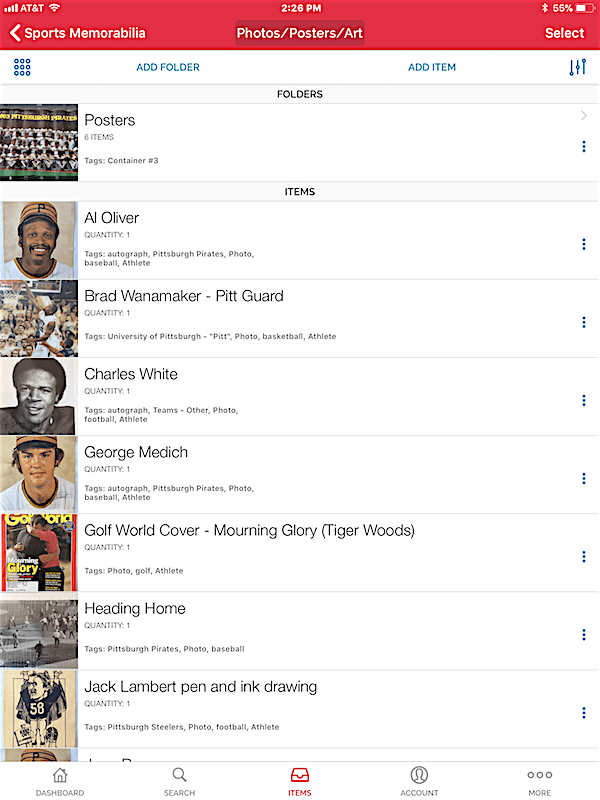 For each folder, you can easily create a thumbnail image that helps to identify the contents of the folder. 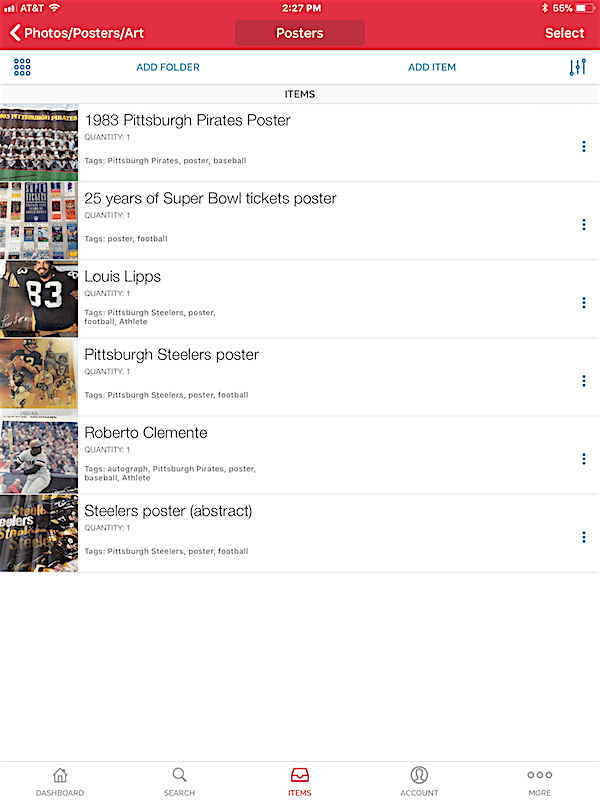 And by simply clicking on the Posters folder, you can easily view photos of each poster, as well as some useful information about each one. You can see at a glance the quantity of each item in the folder, as well as a list of descriptive tags. These tags are the key to making the collection searchable, giving you the ability to easily identify subgroups of items in the inventory. When it comes to organizing a collection within Sortly, it’s really important that you give some thought as to all of various ways your future self will likely search for items within the collection. 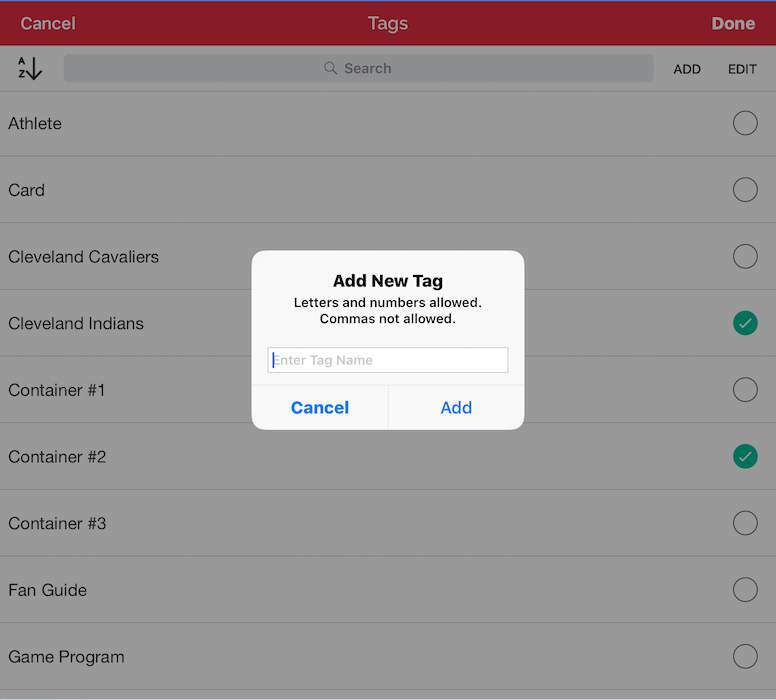 Once you’ve nailed this down, you can create a set of tags that can serve as the basis for your searches. + Add Product Info: When entering data for a specific item, you have the option of including specific product information (e.g., purchase date, warranty information). + Add Lending Info: You can also make a note to yourself if the item is out on loan to someone. 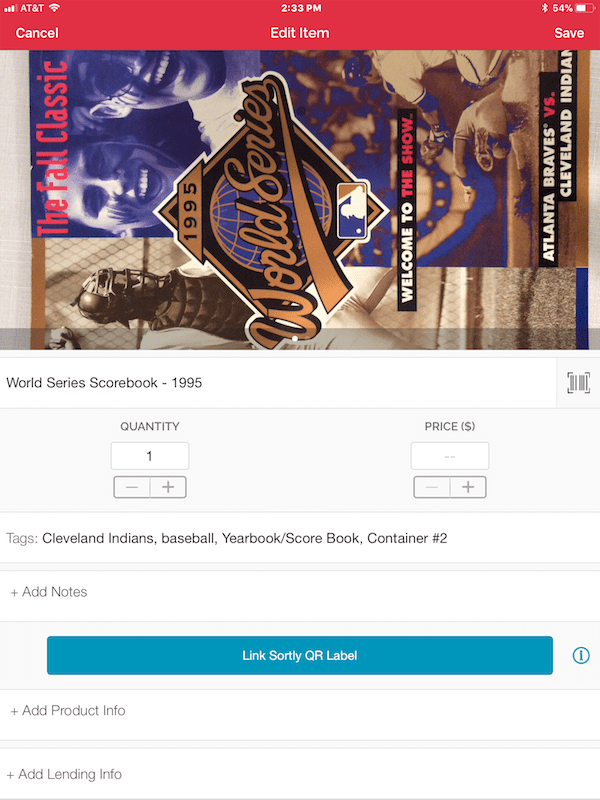 While we aren’t in the habit of letting people borrow sports memorabilia, I can think of a few collections where this functionality would have come in pretty handy over the years (books, costumes, toys, movies). You can sign up for a free trial of Sortly Plus to try out the premium features for free (14-day trial period), OR…enter my giveaway to have free access for a year! So here’s the exciting news — I’m hosting a giveaway to help YOU organize a collection in your home! Three lucky readers will win a free Sortly Plus subscription (good for one year). Simply follow the instructions on the form below to enter. Open to residents of the continental US who are 18 years of age and older. Refined Rooms is not responsible for prize or shipment of prize. This giveaway is in partnership with Sortly. It makes my heart happy that my husband now has a way to easily swap out, use and enjoy the items that he has so lovingly collected over the years. 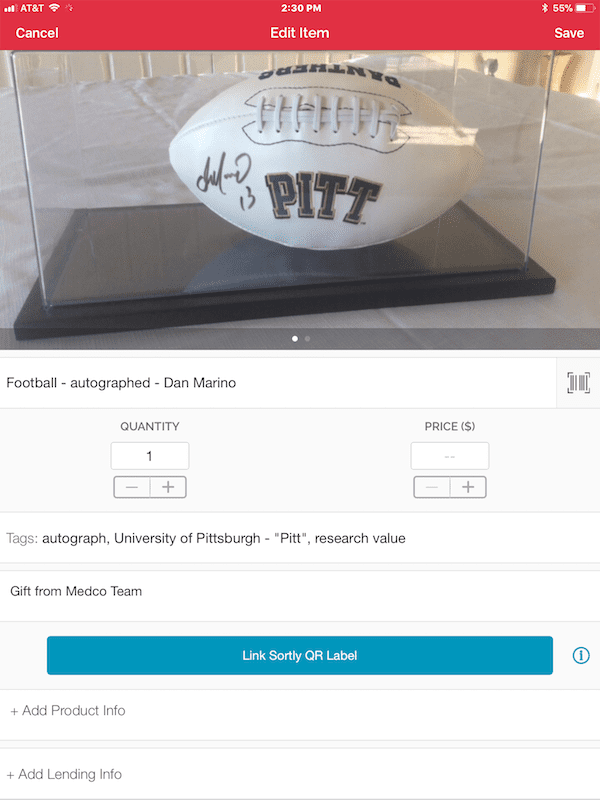 He’s thrilled to be able to easily view his sports memorabilia inventory on his phone and iPad thanks to Sortly! UPDATE JANUARY 2018: Android users rejoice! Sortly is now available on Android too! 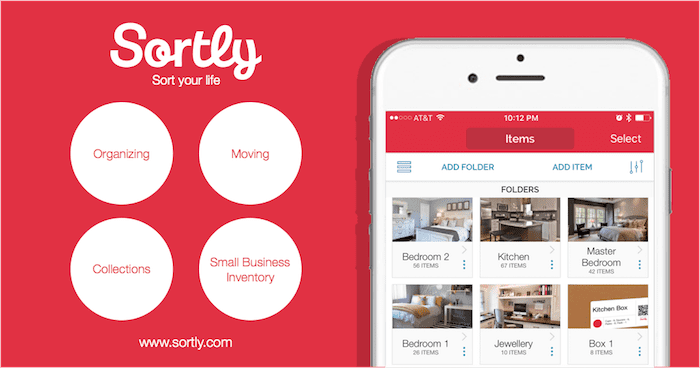 What disorganized collections are lurking around your home, calling out to be organized with the Sortly app? Share below! Looks amazing!! Did you rearrange how you stored the items to kinda match your Sortly categories? Thanks Olive! Actually, I did EXACTLY that! This looks very cool! I think it would be useful for knitters and other crafters to keep track of their supplies.